So this is something very obvious, isn’t it? According to a study done at the Sauder School of Business at the University of British Columbia, people are more likely to lie through text messages rather than video, audio or face to face interactions. The study involved 170 students who participated in role-play scenarios involving the stock market where they took on “buyer” and “broker” roles. The students partnered up in groups of two and were asked to conduct mock stock-sales through one of four different forms of communication which is text, audio chat, video chat and face to face. The deal here was that the brokers were promised more money for more stock sales, while buyers were told their cash reward would later depend on the determined value of the stock. However, brokers were given inside knowledge that the stock was rigged to lose half of its value. Buyers were only informed of this after they conducted a mock sales transaction and then were asked if their broker lied to them throughout the selling process. After analyzing, the researchers found that the buyers who received stock information from their broker via text messages were 95% more likely to report deception than if they had interacted via video and 31% more likely than those that received face to face interactions. This means that brokers felt more comfortable lying to their partners through text messages and the least comfortable via video. 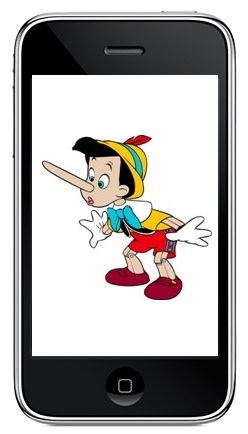 So are you lying through your text messages?